Pristine water views and gorgeous interior design make this humboldt island property divine. 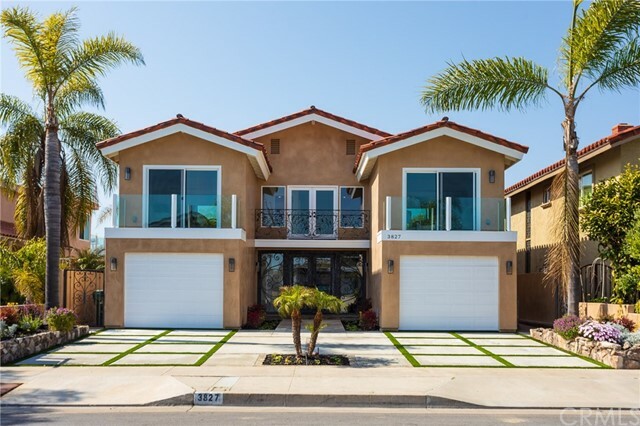 Step inside the grand foyer with perfect on-trend coastal chic tones, complemented by completely remodeled fixtures and upgrades throughout the home. The open concept main floor showcases a stunning kitchen with granite counters, a large eat-at island and endless white cabinets. The flow through the kitchen to the great room illuminated by floor to ceiling windows creates the ideal space to host, entertain, and relax. The 35 ft private boat dock makes parking your watercraft convenient and easy. 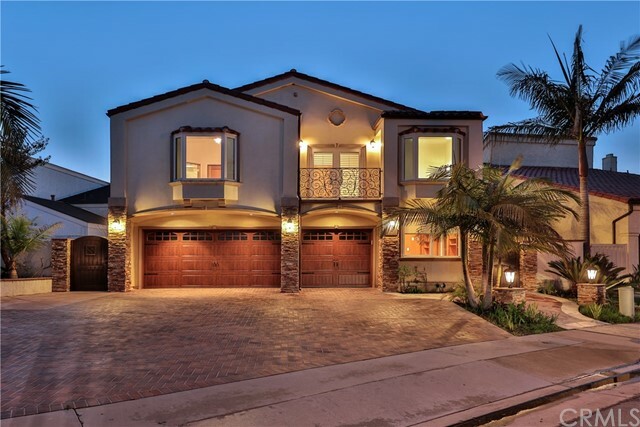 This home features an upstairs loft, five bedrooms, including one on the main floor, and a gorgeous master retreat with a personal living room and fireplace, overlooking the channel below. Each space and room has been carefully designed to reflect a tranquil energy in an energy efficient home. 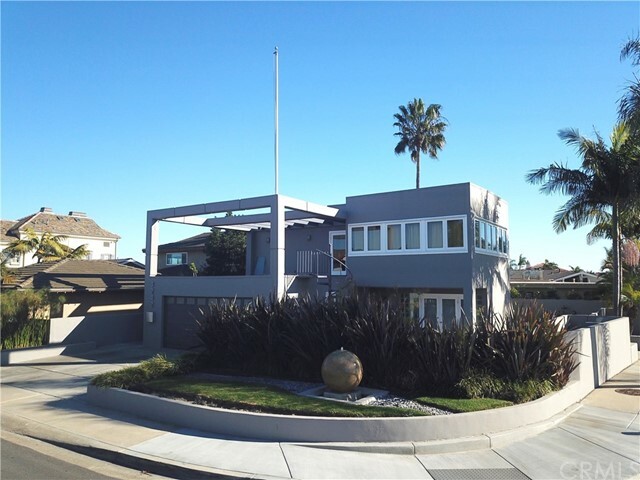 This home is turn key with gorgeous curb appeal, and is situated in a premiere location on a quiet street just minutes from huntington harbour plaza with walk ability to harbor view school. This well-designed, new construction, waterfront home will be completed in spring 2019. 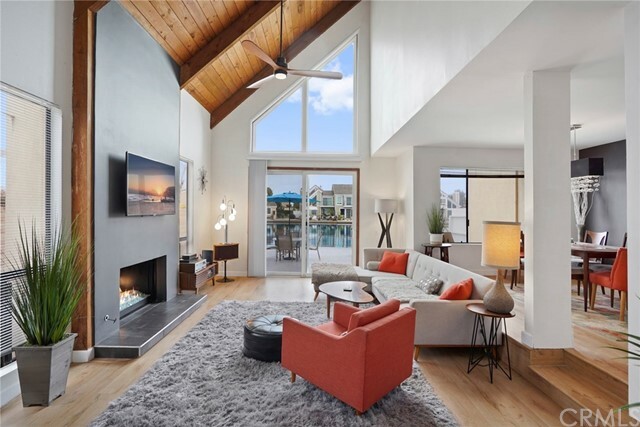 Perfect for entertaining, the living room looks out onto one of huntington harbour's many canals, offering 10 ft wood ceilings, recessed lighting, polished concrete flooring, stacked stone accents, digital surround sound, and built-in wet bar with climate-controlled wine storage. 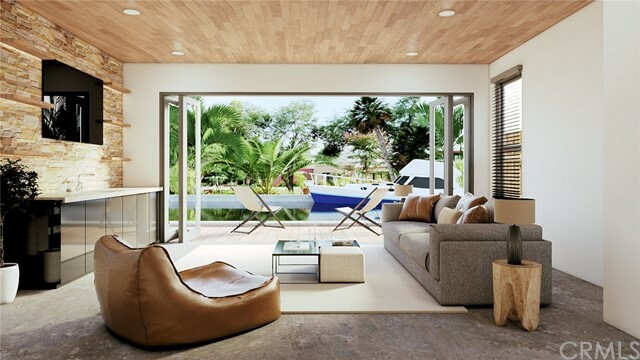 Floor-to-ceiling la cantina sliders provide seamless living between the indoor/outdoor spaces, and leads to the patio overlooking the water, equipped with outdoor speakers, in-ceiling heating, and outdoor shower. The kitchen features thermador appliances, semi-precious stone counters, custom cabinetry, kitchen island with seating, and adjacent dining area, or step out onto the balcony to enjoy harbor views. Two guest bedrooms (or optional den/office), spa-like bathroom, and in-closet laundry complete the 2nd floor. The entire 3rd floor is dedicated to the master suite and spacious balcony. Approx. 2056 sq. Ft. Of living space plus a 2-car garage with epoxy floors, and driveway parking for 2-3 additional cars. Other details: dual-pane windows, tankless water heater, dual hvac systems, newport brass plumbing fixtures, skylights, security cameras, wireless access points at each level, and illuminated stairs. 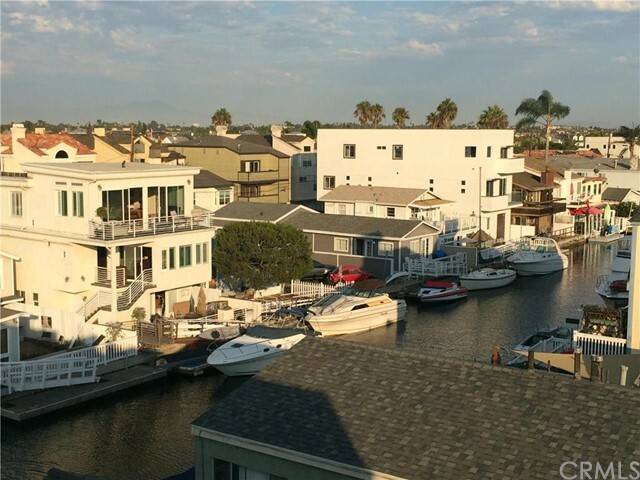 Don’t miss this opportunity to live on the water in this amazing new home. Enjoy kayaking/sup in the harbor and steps to sunset beach, restaurants, and all that beach life has to offer! 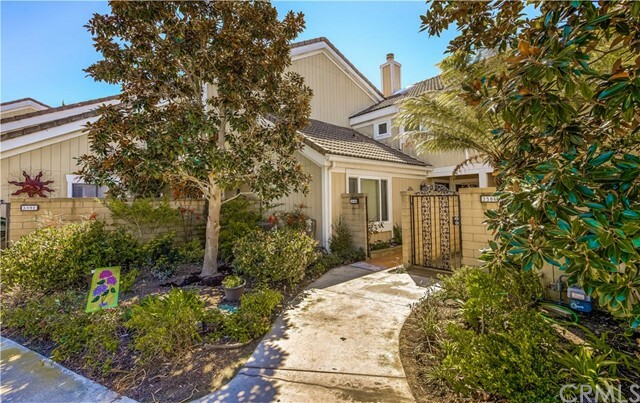 Location… location… location… welcome to this beautiful seagate community. This home was remodeled and has lots of wonderful upgrades. Starting with the updated kitchen. The washer and dryer were moved upstairs and the sliding glass door was removed making room for lots of granite counter tops. A second sink was also added to this kitchen to give a second prep area. A large opening was made between the kitchen and dining room in order to take in the view of the harbor. Custom solid hickory cabinets and pantry finish off this beautiful kitchen. Milguard double pane windows and new hunter-douglas shutters and window coverings were installed throughout the home. The attic is the home for the newer furnace with electronic air purifier and tankless water heater. The drop-down attic door helps to access this area. Solid core doors and recessed lighting are added touches to make this a custom home. A 30’ boat dock with access to the ocean and an owner owned kayak dock for all your extra toys makes for hours of outdoor fun. The view from the master bedroom is amazing and a must see. The seagate community has two clubhouses, two tennis complexes, two swimming pools, two sea water lagoons and two playgrounds. It does not get much better than seagate! !